UPDATE (11 Nov 2011) This article was written with the (now discontinued) Dovado UMR in mind. 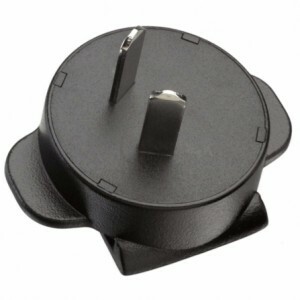 However, the same AU-style adapters (12V 1A) will also power the Dovado 3GN. The Dovado 4GR, on the other hand, requires a 12V 2A psu and uses a Blackberry-style power adapter which takes detachable “clips” for different socket styles. Currently we have a stock of AU, EU, US and UK-style clips available. The latest and fastest-selling mobile broadband router from Dovado, the TINY, requires a 5V 2A supply with a much smaller barrel type jack plug and we are currently trying to source a suitable AU-style adapter to power the TINY. Since the arrival of 4G/LTE from Telstra in Australia in late September 2011, the whole family of Dovado routers are proving popular with Australian customers. 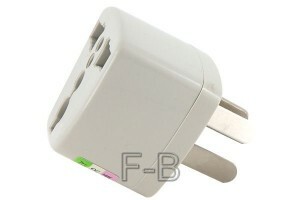 We’ll do our utmost to provide AU-style power adapters for the 4GR and TINY as soon as possible. Read the discussion of the Dovado TINY on forums.whirlpool.net.au. UPDATE 2 (21 Feb 2012) Attempts to source manageable quantities of the Dovado-approved power supply for the TINY did not succeed, however Dovado themselves have placed a large order with the manufacturer. Unfortunately there is a long lead-time measured in months rather than weeks, so in the meantime, any TINYs shipped to Australia (as of 21 Feb 2012) will by supplied with tight-fitting travel adapter as a workaround. With Australia in mind, Dovado have recently* added supported for the ZTE MF636BP and Maxon BP3-USB modems as supplied by Bigpond. Posted in Dovado, FAQ, News, Products. Elek Magyar on Can you run NMT Applications without an internal hard disk? @RoyalMail Hi again – the fact that there’s been no movement on USPS status suggests the item has got lost. Can you get USPS to locate it? Can I switch off my Popcorn Hour using the remote? What comes in the A-210 box? Is the C-200 much bigger than the A-210?